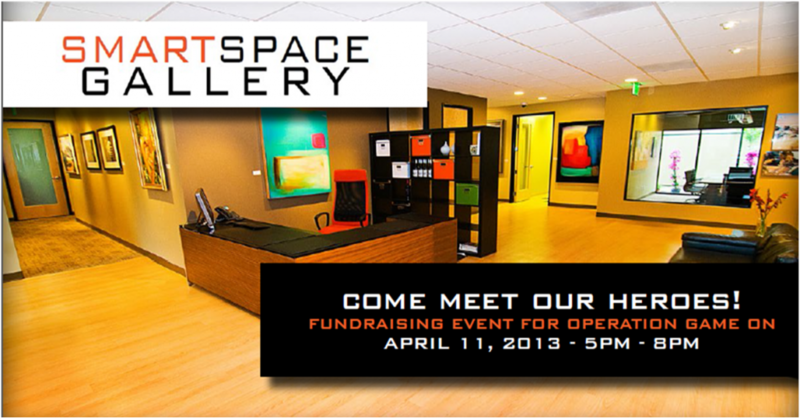 RSVP for the Thursday April 11th event which will be held at the SmartSpace Art Gallery on Murphy Canyon Road. You’ll have a chance to meet some of our troops in this unique setting, and enjoy a special art show, hors d’oeuvres, cocktails, raffles & prizes, and a golf celebrity. What: A Night Out, Hors d’oeuvres, Cocktails, Raffles & Prizes, Art Show, Silent Auction, and a Golf Celebrity Appearance. RSVP to MARIA LEVIN if you plan to attend. If you are unable to accept this mission, you may donate to OGO online right now. At OGO we don’t spend too much time discussing dollars, but your support does help us continue making a difference in the lives of the troops that attend our program and their families.